The Maserati GT gets a tuning from DMC. The end result is an engine that produces 590hp. German tuners DMC have unveiled their take on the Maserati GT. The new package is dubbed Project Sovrano 2011. 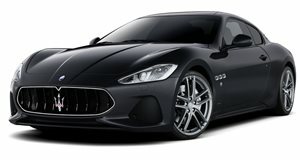 Under the hood, the Maserati GT generates power from a 4.7-liter V8 that produces a whopping 590hp and 348 lb-ft of torque, an increase of 150hp and 60 lb-ft from the standard GT version. The power increases are largely attributed to DMC&apos;s ECU improvement. The exterior features a carbon fiber aerodynamic kit that comes with a more aggressive front fascia. In addition, there&apos;s a new front spoiler which helps to increase downforce on the front axle. There is also a new lightweight hood with air inlets and outlets, trunk spoiler, new rear diffuser and wide-body side skirts. To improve the handling system, DMC lowered the suspension by 1.2 inches. The interior features aluminum pedals, a new ergonomically-designed sport steering wheel with high quality leather and contrasting stitching seats. Pricing for the Project Sovrano 2011 Maserati GT package was not released.